The main prayer hall, which is a situated on the first floor where the five daily prayers are performed. Timings - More information is in the 'News and Events' section . 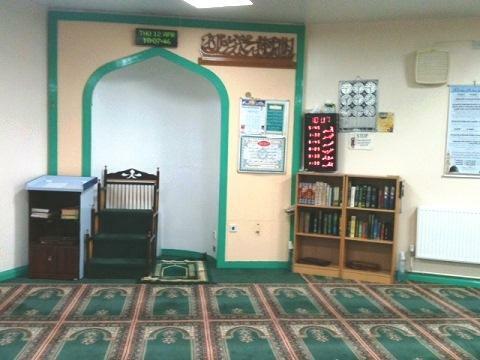 The mosque provides evening classes for both boys and girls with separate facilities. This is a highly popular service, and has been a source of Islamic education for youngsters for many years. It is staffed with teachers experienced suitably for working with younger children. Subjects Taught : Quran, Islamic Study and Urdu Language. * Please note - The is another session held at 7pm-8pm (Mon-Fri) for those who cannot attend the earlier classes.